It is the world’s smallest record player and a licensed product of Volkswagen AG. Earlier known as the Vinyl Killer, the product has been re-launched under a new name Soundwagon. It’s got a new name as well as little enhancements. 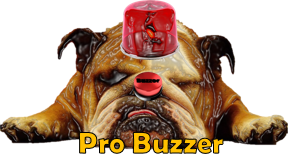 The sound quality has been reworked upon and the result is far better than the older version. There was a time when record players were a desired product by all music lovers. CDs had not yet been invented and cassettes had just entered the scene. Even though cassettes gained popularity the charm of records lived on. Today everyone who owns a record player cherishes its presence and all those who owned it, once upon a time, have nostalgic memories of it. There are many of us who still have those retro music pieces on records but have lost the means to play it. 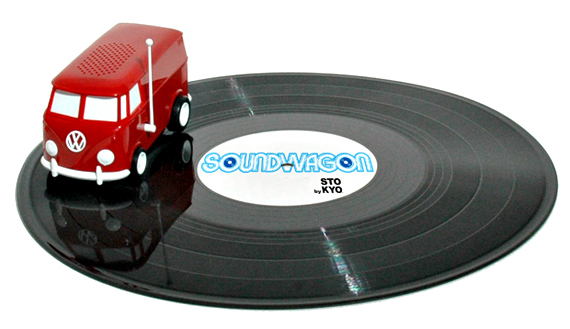 The Soundwagon has arrived to bring a smile on the faces of all such record lovers. It is claimed to be the smallest record player which means that it is 100 percent portable. You can carry it just about anywhere and place it in a very small place. The little Volkswagen is powered by a nine volt battery. While it drives along the record, the inbuilt needle helps play the music. The integrated speakers of the vehicle deliver the music to your ears. It is true that the music quality cannot be compared to any of the systems that are available these days but it is good enough to take you back to the 60s and 70s and relive those nostalgic moments. This little piece of creation is a collectible item in more than one way. For one, the included Volkswagen model is in itself an admirable piece which any car lover would love to own. It is available worldwide in colors of cherry red, royal blue, white and black. To see this classic piece of a van go round and round is a pleasant sight. Paired up with the records this van is capable of packing in all the wonderful musical pieces you have and can deliver it to you as and when you wish to. Whether you are a music lover, a car model collector or an admirer of both music and old cars, this is a must-have for you. Place it on your coffee table, grab a cup of steaming hot coffee and set the Volkswagen van in motion. Lose yourself to the gorgeous music of times gone by and relive lost moments. There could not be a better way to spend an evening. And all credit due to the Soundwagon that has made it possible.